And I stood upon the sand of the sea, and saw a beast rise up out of the sea, having seven heads and ten horns, and upon his horns, ten crowns, and upon his heads the name of blasphemy. … and out of their mouths issued fire and smoke and brimstone. By these three was the third part of men killed, by the fire, and by the smoke, and by the brimstone, which issued out of their mouths. For their power is in their mouth, and in their tails: for their tails were like unto serpents, and had heads, and with them they do hurt. Revelations 9: 17 – 19. Behold, the LORD maketh the earth empty, and maketh it waste, and turneth it upside down, and scattereth abroad the inhabitants thereof. The land shall be utterly emptied, and utterly spoiled: for the LORD hath spoken this word. The earth mourneth and fadeth away, the world languisheth and fadeth away… … Therefore hath the curse devoured the earth, and they that dwell therein are desolate: therefore the inhabitants of the earth are burned, and few men left. Isaiah 24: 1-6. And they shall go into the holes of the rocks, and into the caves of the earth, for fear of the LORD, and for the glory of his majesty, when he ariseth to shake terribly the earth. In that day a man shall cast his idols of silver, and his idols of gold, which they made each one for himself to worship, to the moles and to the bats; To go into the clefts of the rocks, and into the tops of the ragged rocks, for fear of the LORD, and for the glory of his majesty, when he ariseth to shake terribly the earth. Isaiah 2: 19 – 21. And I turned to see the voice that spake with me. And being turned, I saw seven golden candlesticks; And in the midst of the seven candlesticks one like unto the Son of man, clothed with a garment down to the foot, and girt about the paps with a golden girdle. His head and his hairs were white like wool, as white as snow; and his eyes were as a flame of fire; And his feet like unto fine brass, as if they burned in a furnace; and his voice as the sound of many waters. And he had in his right hand seven stars: and out of his mouth went a sharp two- edged sword: and his countenance was as the sun shineth in his strength. Revelations 1: 12-16. Be not wroth very sore, O LORD, neither remember iniquity for ever: behold, see, we beseech thee, we are all thy people. Thy holy cities are a wilderness, Zion is a wilderness, Jerusalem a desolation. Our holy and our beautiful house, where our fathers praised thee, is burned up with fire: and all our pleasant things are laid waste. Wilt thou refrain thyself for these things, O LORD? wilt thou hold thy peace, and afflict us very sore? Isaiah 64: 9-12. Modern science considers such stories dramatically embellished, superstition laden descriptions of the same world we see today, told by ancient witnesses at a loss to explain nature otherwise. But what if they are a description of incredible events, so catastrophic they were recorded as a warning for future generations. Is there a modern and scientific ways to look at the bizarre and disconcerting biblical stories of profound catastrophe, including dragons from the sea that shook the Earth and spread destruction? Catastrophists say we have forgotten our past in a kind of collective PSD, in denial of traumatic events that nearly wiped us from existence. The stories are beautifully memorialized in mythology, particularly in the Bible, and in ancient cultures throughout the world. Vivid descriptions: hails of coal and fire, blast furnace winds, earthquakes, lightning, channels of water opened to bare the foundations of the world and seas that covered the mountains – they don’t seem to depict normal earthquakes, volcanoes, floods and bad weather. The events roll together in a chain of widespread catastrophe unlike anything we experience today. Perhaps one reason it’s given little notice, except by a few, is the truth buried in the mythology is too painful to contemplate. The survivors recorded the calamities, attributed the cause to mankind’s transgressions and their survival to their own righteousness. As the distance of time progressed, mankind dissolved these stories into fictions, to hide from terror portrayed and to return to the behaviors warned against. The danger is this amnesia leads us to disregard past events that may recur in the future. With an open mind to the notion of Electric Universe theory, and dispensing with preconceptions of religion, guilt and past scientific misinterpretation, it is possible to give a realistic natural explanation for these incredible biblical events. In Part One, this essay breaks down the “visions” that predicted catastrophe. Part Two will examine the apocalyptic forces of nature that followed. Sorry if this disappoints anyone, but answering the question, “was God involved,” or validating the concept of God’s existence is not in the framework. …Now it came to pass in the thirtieth year, in the fourth month, in the fifth day of the month, as I was among the captives by the river of Chebar, that the heavens were opened, and I saw visions of God. Ezekiel 1: 1. The exceedingly strange visions he witnessed warned of a catastrophe to befall mankind as a rebuke for its rebellion against God’s word, its false idols and lurid whoredom. John of Patmos records visions of apocalypse in Revelations, where he witnessed figures in the sky – angels, scrolls and candlesticks, and he heard trumpets blowing which he attributed to God’s word. Visions from heaven are a key piece of the Bible story, presaging calamity and affirming righteousness. The visions were not hallucinations, nor the fanciful imaginings of spiritually entranced minds, nor the psychedelic effects of drugs. They were real light shows in the sky caused by severe geomagnetic storms. To understand the light show, let’s first review some Electric Universe theory. We begin with an understanding that Earth’s toroidal geomagnetic field is the consequence of external electric currents from the Sun. Solar current is captured by the Earth’s magnetosphere, and funneled down through the magnetic poles, to deep within the Earth itself. Mainstream science denies the obvious and attributes the magnetosphere to a “dynamo” effect of the earth’s molten core. The dynamo theory, however, has many problems that dispute its validity. Foremost is the chicken and egg dilemma the theory poses. According to the theory, current is the result of Earth’s magnetism, which is likened to a bar magnet in the earth’s core. This bar magnet in a rotating, orbiting, tidally stressed planet generates current that strengthens magnetic fields which increases current in a feedback loop. But what gave the earth a magnetic field in the first place? There had to be a current first, and this isn’t explained by a dynamo. There are other problems with the dynamo theory. Why didn’t the dynamo wind-down millions of years ago as earth’s core cooled – physics says it should have. How does a molten iron core carry magnetism when magnetism is a consequence of the crystalline structure of the metal – molten iron has no crystalline structure – it cannot be magnetized above its Curie temperature. Dynamo theory holds that the geomagnetic field is internally generated. So, why does it fluctuate in strength and flip polarity in a cyclical pattern tied to solar cycles? Scratch the surface of the dynamo theory and it’s obvious all the pieces aren’t there. There is no successful, comprehensive dynamo model. EU Theory understands it differently and far more successfully. No dynamo is generating the geomagnetic field. Electric current is generated by the Sun, and this external solar current is flowing around and through the Earth, forming a plasma sheath appropriately called a Langmuir sheath, but which is generally called the magnetosphere. Since the advent of space based satellite observatories, evidence of this Sun-Earth connection is indisputable. Investigation into its dynamics is building understanding with each new observation. The following images are a small sampling of real time data collection from the iNtegrated Space Weather Analyisis (iSWA) system coordinated by NASA. They portray 1) Earth’s magnetosphere in reaction to solar wind, 2) Solar current sheet within the planetary region of the heliosphere, 3) Electron current density in Earth’s ionosphere, and 4) Earth facing coronal mass ejection (CME) propagating through the solar system. The images represent pieces of a larger picture affecting our planet that includes solar alignment within the galactic plane, galactic space weather, planetary alignments, coronal holes, solar flaring, sunspots and other cyclical electromagnetic solar events. That a Parker Spiral mimics a spiral galaxy is no coincidence. Repeating fractal forms at all levels of nature is a signature of electromagnetic effects. The Solar wind is a sinuous rotating current sheet called a Parker Spiral that mimics the rotation of spiral galaxies. This current sheet is a feature of the Sun’s heliosphere, which itself is an electromagnetic sheath around the Sun – repeating in fractal fashion the way the magnetosphere sheaths the Earth. Image courtesy of NASA – Berkeland currents are electric currents in plasma shielded in a self organizing conduit of wrapped magnetic fields. Berkeland currents generally form in twisted pairs. The self organizing nature of plasma is why it is named after blood plasma, because it encapsulates and protects itself like a blood cell. Astronomers find them delivering massive current flows throughout the solar system, galaxy arms and inter-galactic space. Plasma physicists recognize that polar aurorae are electromagnetic plasma currents, called Berkeland Currents, delivering energy from the constant flow of current in the heliosphere. That energy doesn’t stop when it hits the ionosphere. There is a big planet inside with a conductive molten interior and a faulted, inhomogeneous crust that produces complex paths for ground currents. Lithosphere, ionosphere and heliosphere are electrically coupled. Between Earth and the ionosphere is a dielectric atmosphere that causes the system to act as a charged capacitor. The result is weather, earthquakes and volcanoes. The current density varies. In fact, the Sun is in transition to low activity now, called a grand minimum, when sunspots are reduced and the associated CME activity is less. Coronal holes and their effects are more prevalent. At the same time on Earth, the magnetic field is weakening and moving towards a polar shift. The geomagnetic field has weakened by approximately 9% in the past 170 years. Paleomagnetic studies indicate it was much higher in earlier times. The Levant is one region where paleomagnetic evidence exists indicating the region’s magnetic intensity may have been as high as three times stronger 3000 years ago than it is today. And the temple of God was opened in heaven, and there was seen in his temple the ark of his testament: and there were lightnings, and voices, and thunderings, and an earthquake, and great hail. Revelations 11: 19. Revelations gives a concise catalog of visions that presaged and accompanied Leviathan. In it John, a prophet is imprisoned on the island of Patmos where he sees a vision of apocalypse. He hears a voice saying, “I am Alpha and Omega, the first and the last: and, what thou seeest, write in a book, and send it unto the seven churches…” The vision begins when he sees seven golden candlesticks, one of which appeared like the “Son of Man” with hair white as snow and eyes like flames, holding seven stars in his hand. Out of his mouth came a two-edged sword. John is told the candlesticks represent the seven churches and the seven stars are the angels of the seven churches. The candlesticks are a description of plasma discharge events seen in the sky similar to the “Sprite” shown above (left) that NASA photographed above a severe lightning storm. Apparitions like this have been recorded by people around the world in petroglyphs, geoglyphs and pictographs. Some have been dated from 10 to 12,000 BC, based on carbon and luminescent dating of incidental organic artifacts. Most are indeterminate because of the difficulty in obtaining an age from rocks. Some researchers believe multiple events occurred from four to twelve thousand years ago, which is consistent with many civilizations that recorded them in one fashion or another, including the Maya, Easter Islanders, Nazca, Australian Aborigine’s, North American Natives and many more. The giant hillside intaglio in Pisco, Peru shown above (right) is probably the finest example reproducing the image of a candlestick-shaped plasma instability. Pottery artifacts found at the site date to the Paracas people in 200 BC, although the geoglyph could be much older. It is generally believed to represent the lightning trident of Viracocha, the pre-Incan god who came from the sea and was worshiped as the god of the sun, thunderbolts and storms, much like Neptune, Poseidon and Leviathan. Image credit NASA. Sprites are colossal towers of red and blue light, 10 km across, glowing above thunderstorms 50 to 80 km above the Earth. They are lightning bolts, diffused in the near vacuum of space. They may be single vertical columns, or vast collections of columns, sometimes branching upwards and shooting tendrils towards Earth in displays nicknamed carrots, angels, jellyfish and A-bombs. Dr. Anthony Peratt, Director of plasma physics at Los Alamos Laboratories, recognized many petroglyph figures resemble plasma instabilities he studied in the lab. Using a network of volunteers worldwide to catalog petroglyphs, and performing supercomputer simulations of high energy plasma instabilities, he found plasma images that correspond to the majority of enigmatic, ancient petroglyph images found around the word. 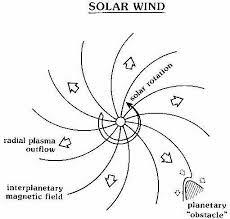 A plasma instability forms as current from the Parker Spiral charges the magnetosphere surrounding the planet. We see this current flowing at the poles in the aurora, as electrons impact oxygen and nitrogen in the ionosphere causing a soft billowing glow in the night sky. As current density increases, however, as in a severe geomagnetic storm, the plasma’s magnetic sheath tightens around the current, pinching and increasing the current density and accelerating the electron flow. A bright column forms, much larger, brighter and longer lasting than any aurora, or thunderstorm generated phenomena that we witness today. A plasma instability, or Peratt column, is essentially a cosmic lightning bolt. The shapes, colors, brightness and motions change over time as current densities and magnetic field strengths vary. A plasma current emits light in three modes – dark current, glow mode and arc discharge. Dark current has low current density yielding few ion collisions, so emits no visible light. Glow mode is what we see in the aurora, a soft colored glow in a rarefied atmosphere. Discharge arcs are lightning bolts, resulting from the magnetic fields surrounding the current squeezing it to extreme density and relativistic speeds, called a z-pinch. In arc mode the plasma emits ultra bright light and x-rays. As for the likeness of the living creatures, their appearance was like burning coals of fire, and like the appearance of lamps: it went up and down among the living creatures; and the fire was bright, and out of the fire went forth lightning. 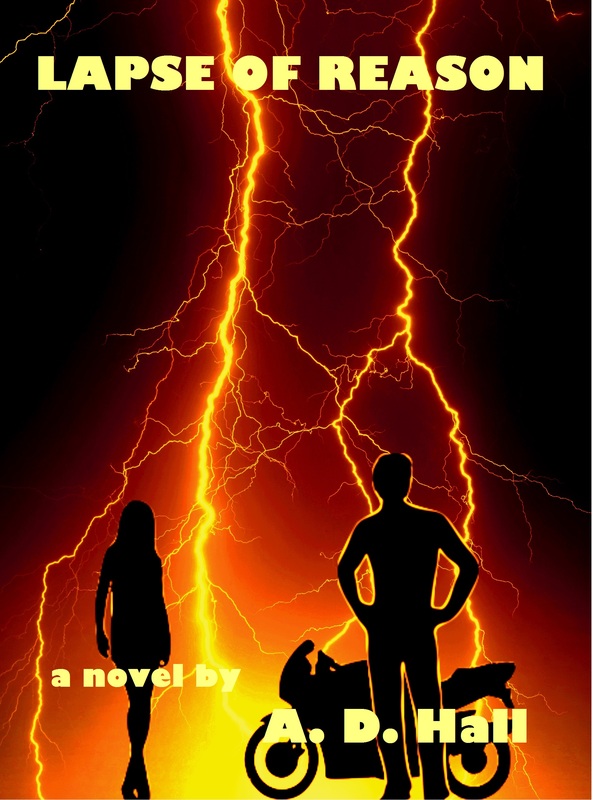 And the living creatures ran and returned as the appearance of a flash of lightning. Ezekiel 1: 13 – 14. In the diffuse plasma of space, the jagged spark we see in the atmosphere takes a more fluid, columnar shape. The columnar plasma discharge is surrounded by stacked plasma toroids that evolve into cup and bell shapes as the edges of the toroids warp up and down. The number of toroids can vary between three and nine and can resemble anything from chalices to ladders. Various other forms exist as well, depending on the nature of the plasma and the currents in it. Spirals, lines and figures are anthropomorphized as human figures and various animals with odd horns and antlers in petroglyphs around the world which match the plasma forms. And above the firmament that was over their heads was the likeness of a throne, as the appearance of a sapphire stone: and upon the likeness of the throne was the likeness as the appearance of a man above upon it. And I saw as the color of amber, as the appearance of fire round about within it, from the appearance of his loins even upward, and from the appearance of his loins even downward, I saw as it were the appearance of fire, and it had brightness round about. Ezekiel 1: 26-27. Then I beheld, and lo a likeness as the appearance of fire: from the appearance of his loins even downward, fire; and from his loins even upward, as the appearance of brightness, as the color of amber. Ezekiel 8: 2. Now as I beheld the living creatures, behold one wheel upon the earth by the living creatures, with his four faces. The appearance of the wheels and their work was like unto the color of a beryl: and they four had one likeness: and their appearance and their work was as it were a wheel in the middle of a wheel. Ezekiel 1: 15-16. This is why Revelations, like Ezekiel, portrays a series of apparitions including the four horsemen, the lamb, the scrolls and the cups. The “seven cups of wrath” from Revelations are seen in the slide show image of a petroglyph above (1st slide, left side) labeled “Kayenta, Arizona.” It represents another empirically reproducible image in the evolution of a plasma instability. And there appeared a great wonder in heaven; a woman clothed with the sun, and the moon under her feet, and upon her head a crown of twelve stars. Revelations 12: 1. That precise image was also seen in 1510 by a poor Mexican farmer. He reported it to his priest and it is today known as “Our Lady of Guadalupe.” It is another anthropomorphized description of a high energy aurora that shows up in petroglyphs of strange entities with elongated bodies, surrounded by stars and shining halos. On December 16, 1737, a remarkable event was seen and documented across Europe, but today it is nearly forgotten. This was the time of “light nights”. In Naples, Padua and Bologna, Italy, a bright, red, flashing light was observed in the north after sunset, as if the air was on fire. The red cloud emitted rays of red and white with dark streaks. A bright red column appeared, which curved to arc across the entire sky, becoming more vivid as it rose higher. Stars shone bright in the midst of the light. After 8 p.m. the red light was interrupted by several vertical columns of a bright yellow color. In the south, where the sky was clear, there were fireballs. Several persons reported a stench in the air. The phenomena continued well into morning. In Edinburgh, England, at 6 p.m. the sky was in flame. An arc of red light reached from the west, over the zenith, to the east. The northern border of this light was tinged with a blue color. It gradually stole along the face of the sky, until it covered the whole hemisphere. In Sussex, it began as a pillar of light at about 6.15 p.m. After ten minutes, part of it divided from the rest, and never joined again. In the next 10 minutes it described an arc. At 8 p.m. it re-emerged in the north and made an arc from east to west, and went away to the south. Similar phenomena were witnessed in Russia and North and South America in subsequent days. These descriptions are of a strong geomagnetic event, but they do not come close to the kind of visions reported in the Bible. Peratt notes that normal aurora are produced by currents in the megaampere range. The Peratt columnar images captured in petroglyphs would have required gigaamperes of current, significantly higher than anything experienced in modern history. His research engaged a global team of volunteers who used GPS positioning to catalog virtually every petroglyph in question world-wide. Eighty-four types of recurring petroglyph images were identified as aurora depictions found on every continent except Antarctica. He also discovered, by common orientation the petroglyphs recorded the aurora(e) occurred in the southern hemisphere and would have extended hundreds of thousands of miles into space. Their energies could have kept them visible for months, years, or even decades, allowing would-be prophets ample time to ponder their meaning, build idols and instigate a few sacrifices. So this explains the visions, but what about the Leviathan itself? To begin with, Peratt describes the evolution of the instability reaching arc discharge mode and emitting a wash of x-rays. Anyone exposed could suffer blindness, burns and radiation sickness, or even death. But the real damage came from the bowels of Earth itself. The first angel sounded, and there followed hail and fire mingled with blood, and they were cast upon the earth: and the third part of trees was burnt up, and all green grass was burnt up. And the second angel sounded, and as it were a great mountain burning with fire was cast into the sea: and the third part of the sea became blood; And the third part of the creatures which were in the sea, and had life, died; and the third part of the ships were destroyed. And the third angel sounded, and there fell a great star from heaven, burning as it were a lamp, and it fell upon the third part of the rivers, and upon the fountains of waters; And the name of the star is called Wormwood: and the third part of the waters became wormwood; and many men died of the waters, because they were made bitter. And the fourth angel sounded, and the third part of the sun was smitten, and the third part of the moon, and the third part of the stars; so as the third part of them was darkened, and the day shone not for a third part of it, and the night likewise. And I beheld, and heard an angel flying through the midst of heaven, saying with a loud voice, Woe, woe, woe, to the inhabiters of the earth by reason of the other voices of the trumpet of the three angels, which are yet to sound! Revelations 8: 7-13. It was a bad day. Leviathan – Part Two will examine it closer. Which shows how long the Mars Earth wars lasted apx.9000 years. If you look at the remnant magnetism of Mars it looks a lot like the Earths with its magnetic field reversals in bands. One would expect that Mars remnant magnetic field strength would be on the order of 10 times as strong as the Earths since it is 10 times as large Mars, and that is exactly what we find! Pole shifts are a result of mars gravity on closer flybys to cause the Earth to tilt it axis as much as 2% thus causing tears in the crust. One such tear is the Grand Canyon, others are deep canyons under the oceans. All mountain ranges on the Earth were created by Mars flybys, that is way they are in arc like patterns and are always higher in the center of the ranges since most of the uplift was at its closest approach, Those ranges in the central part of an uplift zone sometimes take sudden change in direction, a shift always toward the southwest. This is because there occurs a spin axis precession that includes a sudden relocation of the spin axis. The Andes is an outstanding example of this effect. During the finial flyby of Mars recorded in Isaiah. The shadow of the sundial, an Egyptian obelisk about 80 feet tall, relocated (shortened) about 10 handspans perhaps 70 inches. Thus Jerusalem moved closer to the equator about 1 to 2 degrees. David, thanks for comments. A static magnetic field generated by Mars and “locked in the crust” doesn’t make any sense to me. It does not match the observed behavior of the magnetosphere. Earth’s magnetic field is dynamically changing – not just weakening, but moving and responding to the Solar wind because it is “fed” by external currents. I agree Mars was a factor in past catastrophe, as was Venus, but myth records Mars as the god Mars, not Leviathan. Leviathan came from the sea and I interpret it as a terrestrial response to what was happening in the solar system. Many other myths have a “dragon” from the sea, or a god of the sea that throws thunderbolts. I’ll discuss more in Part Two. Patten is a creationist – not the same thing as a catastrophist. Why can you not be a catastrophist and be a creationist also? I follow Pattens work, you do not have an answer to how the magnetic field was created. Not everything is tied to electrical effects, how do you explain the 170 field reversals? Or the decay of the field strength? How can you prove that the magnetic field is fed by external currents? If it was it would show a curve upward as it gained strength. Just the opposite is occurring it is declining at an exponential rate. If you believe that Mars was a factor in past catastrophes, why then is this not making sense? I think one must be a catastrophist to be a creationist, but not necessarily the other way around. Many creationists have an agenda to find evidence to support a preconception of literal truth in the Bible, rather than an open mind to follow evidence where it leads. For instance, many creationist believe in a six thousand year old world according to Biblical timelines, which evidence ( dinosaur fossils, etc.) seems to contradict. I have more to learn reading Patten. Perhaps his orbital theories tie-in with the electromagnetic storms. This article doesn’t make an assumption of what caused a particular electromagnetic event, or attempt to pin down any specific time-frame. It examines geologic evidence of events and discusses how they may have occurred and how they may have influenced the Biblical stories. I don’t assume to know the full story, I’m just examining pieces where I can bring evidence to scientifically plausible explanations. The strength of currents in the solar system, and therefore the currents in and around Earth, wax and wane as solar and galactic currents vary. Field reversal, pole shift and field strength decay (and increase) are part of the cyclic frequencies inherent with electromagnetism. A magnetic field is a consequence of electric current. How Earth’s magnetic field was created is a natural consequence of being a planet with an atmosphere and a molten core in the solar current. The current creates the magnetic field. Langmuir describes the physics of plasma sheaths. A magnetic field can be created in the lab with a current flow, so I’m not sure what part of that doesn’t make sense to you. The descriptions being made are comparable to Quetzacoatl of the Aztecs, Sosa no wo no Mikoto of the Japanese, Rahu of India, and some of the Greek mythology. Tiamat or Rahab appears to be complementary to the dragon motif of China, to the celestial witch motif of the ancient Druids of Great Britain, and to comparable motifs which have a global distribution. Thus it can be understood why Phoenicians were concerned about erecting planetariums on hilltops to worship Astarte and Baal; why the ancient Chaldeans erected ziggarats in the Tigris-Euphrates Valley and built astral temples at the apexes. Astral themes permeate ancient traditions, and we see why the sky-gods of these various peoples may have differed a little in detail, though not in theme. Although this chapter has given no room for discussion of the astral traditions among the Germans, Norse, Icelanders, Polynesians, Melanesians, and others, these cultures also had their celestial pantheons and their traditions of world destructions. But what gave the earth a magnetic field in the first place? Mars was the generator of the Earths Magnetic field. This can be proven in a number of ways. To understand this we have to give up gradualism in cosmology and use planetary catastrophism to solve this. Any explanation using Gradualism does not use rigorous stress analysis. Our magnetic field is decaying rapidly, its half life is 1350 years, which means something happen to the Earth to recharge the field 2700 years ago. The magnetic field of the Earth is locked in the crust mostly in the Pacific basin. That is why the magnetic poles are askew to the geographic poles, If you connect both north and south magnetic poles a line would pass over the pacific basin, this has been a mystery to gradualist as why this is, now we have a clue. Leviathan is not a animal or some kind of beast from the sea, Jobs description 41 was a fly by of Mars in the catastrophic era. He was describing the volcanoes erupting on Mars and it looked like eyelids opening, as Mars got closer to the earth it looked like to a viewer on the Earth as the volcanoes slowly started to open and pour out smoke and ash. Leviathan was just another name for Mars as it assaulted the Earth on the March 21 date. The October 23 date was ascribed to Behemoth. A reading of Pattens work “The Mars Earth Wars” ( you can Google it) shows that this is the only explanation that makes sense. After a couple of millenniums its real meaning has been solved.